With increased interest in travel each year, the spectrum of people, places, and patterns also widens by the by. As the journey of 2018 comes to a close, we pick the top 5 travel trends that ruled this year. Saving the earth while luxuriating in the world’s best experiences? That’s the exact marriage sustainable travel brings to you. Employment for locals, in-house farms, recycling units, discontinuing single-use plastics, building new properties without altering the natural landscape. These are just a few of the initiatives adopted by the hospitality industry to minimise negative impact on the environment. Not just the hosts, the travellers also increasingly practice their green-conscious. Whether it is ‘slow travel’ that picks the road and rail over flying, indulging in souvenirs and experiences by indigenous folks, or even exclusively checking into hotels that practice sustainability. The year has been all about giving back to the community and mother earth as much, if not more, than what we take from them. Move over Europe, North America, and South East Asia. This year saw a whole set of new destinations becoming the hot favourites. Few of the most visited ones include Bhutan, Sri Lanka, Africa, and South America. The same trend has continued for domestic travel as well, with the likes of Meghalayas, coffee plantations, and Western Ghats becoming the go-to port of calls in 2018. Stemming from the wish to explore the atypical, this trend seems to only become stronger with time. Wildlife safaris have been gaining momentum for sometime now, and peaked in 2018. The thrill of staying in the midst of raw nature and watching wild animals live in their natural habitat is unparalleled. Africa remains the international hotspot of wildlife safari experiences, with lush wild environs paired with luxury escapes across Kenya, Botswana, and Rwanda among other countries. Closer home, National Parks and sanctuaries in Madhya Pradesh, Ladakh, Assam, Kerala, Rajasthan, and more give a peek into the thriving wildlife we’re home to. A front row seat for soaking in nature, wildlife safaris emerged as the third option to the traditional beach or mountains debate. Welcome cards addressed to you as you check into the hotel room? Off the menu customised dishes? Yes, that’s the stepping stone for personalised travel. But why it raged through 2018 is because hotels rocketed it to another level. From choosing the brand of linen and toiletries, having your bag unpacked, picking your favourite toilet paper colour, and the scent you’d like to arrive to — it’s all in that list of services offered. Tailor-made has been the defining moment for travel in 2018. Instagram-forward trips have ruled the roost for long now. While those aren’t going anywhere, a countering contender has arrived — the digital detox travel. News, social media updates from friends you haven’t spoken to in years, seeing everything through a lens as you click away, or incessant texting. The nonstop connectivity is taking its toll and people have ventured out to calmer escapes. 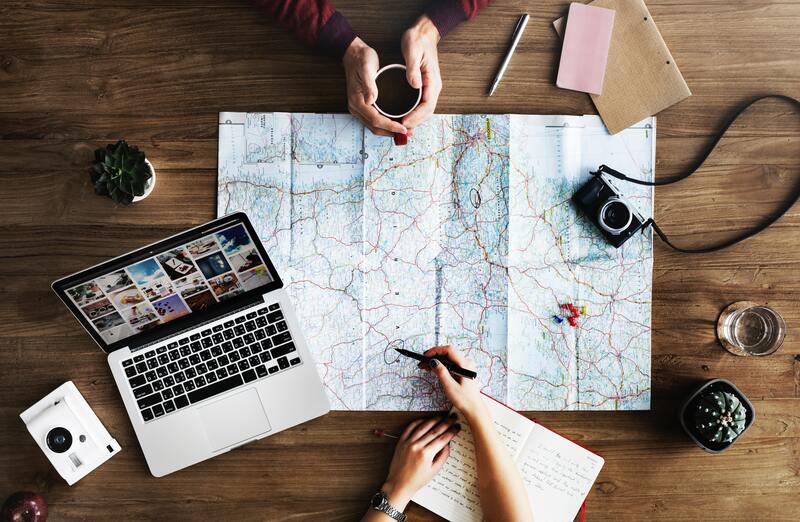 Cutting out the noise has been a major determining factor in planning getaways in 2018, with travellers looking to experience new cities, people and their culture, food…and everything realtime instead of one eye on the screen and other on the object of interest.